Your search for the Best Wedding Venues in Lucknow end here. 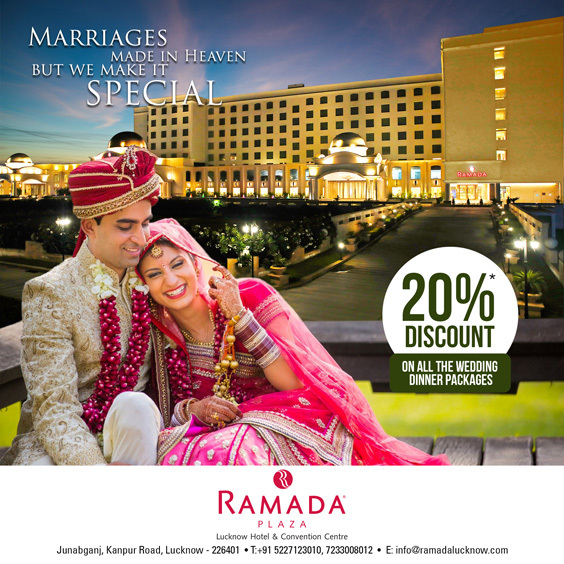 At Ramada Lucknow, we elevate weddings from mere celebrations to profound experiences.Here is why. The 3 key successful elements to a successful life event – accessibility, space and round-the-clock support are also our biggest plus points. Every single detail is attended to with our legendary bespoke service and intimate touches. We see each Wedding Event that we hold at Ramada Lucknow, as one of authentic distinction and storied elegance, and we aim to create an unmatched ambience that truly befits your dream wedding at Ramada Lucknow. From bespoke flower arrangements and captivating venues to custom catering and a personal wedding specialist, we provide all of the elements necessary to surpass your expectations and create an enchanting and memorable wedding occasion. With over 8361 + sq m of space outdoors and 2044 + sq m of space indoors ( at the Convention Centre) may we add that all that limits the scale and scope of your dream wedding is only your imagination. Allow us to take care of the rest ! Planning for a Wedding in Lucknow ? 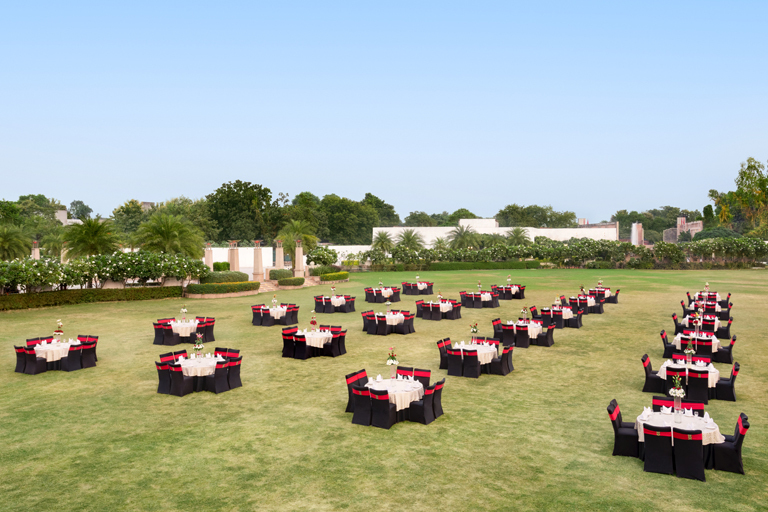 The Amphitheatre easily accommodates 2,500 guests while the Plaza Lawns at Ramada Lucknow can accommodate 1,000+ guests for hosted weddings at the hotel. Please find below a break-up of the seating capacities for standard seating layouts for both the event spaces, which will help you plan your dream wedding better. The best thing about hosting your dream wedding in Ramada Lucknow is the multiple options you have in terms of space, which helps you put the whole event together in the most economical and effortless way possible. The total support of the dedicated wedding team at Ramada Lucknow is of course, a given. Choose between the Grand Emerald (1500 guests), Emerald 1 & 2 (500 guests each) & Coral 1 (30 guests) for the various wedding events based on your requirement. 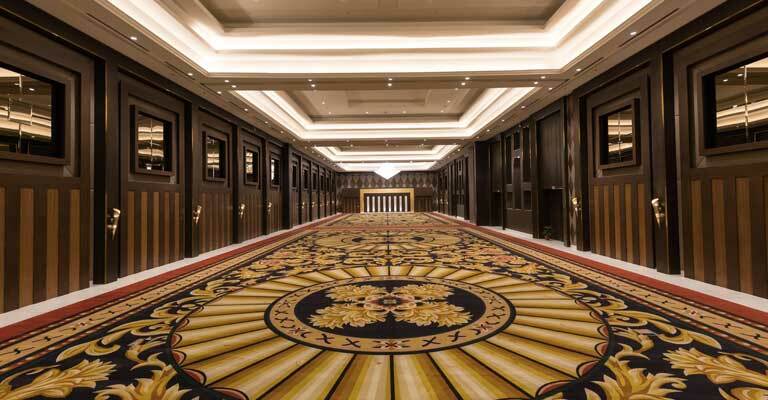 It goes without saying that all the indoor spaces are in close proximity, saving you time, energy and effort co-ordinating multiple events and guests facilitation across the event spaces. Your search for the best Wedding Venues in Lucknow ends here. Our consolidated packages for the best wedding venues in Lucknow include space rentals, accommodation and the wedding banquet menu . Also included are service offers of in-house florists, make-up artists and specially created wedding menu sets, that could be customised for specific requirements and themes. 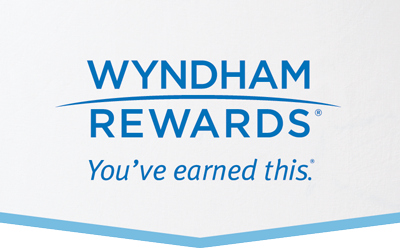 The overnight stay of the newly weds at the hotel could be extended as a special Honeymoon package, based on requirements. You could also reach out to us on +91 7084161808 or mail us at csm@ramadalucknow.com, and one of us would be right by you. For more information on our wedding venues and exclusive wedding packages or to arrange an appointment with our dedicated wedding team, please send across this Quick Contact Form.